I have been well and truly spoiled this year! Today has been an amazing day filled loads of good food, gin, family antics and lots of presents. I love seeing what my fellow bloggers received at this wonderful time of year, so I decided I would write my own Christmas present round-up post. My main present from my parents is a 50ml bottle of Lancôme La Vie Est Belle perfume, a scent I have been obsessed with since earlier this year when I got an atomiser sample at Meadowhall. It's the most beautiful perfume I've ever owned, the colour of the perfume itself being a fabulous rose-pink with luscious notes of vanilla, praline and pear. It's a very classy, feminine and sophisticated perfume which I am incredibly excited to have become my signature scent. 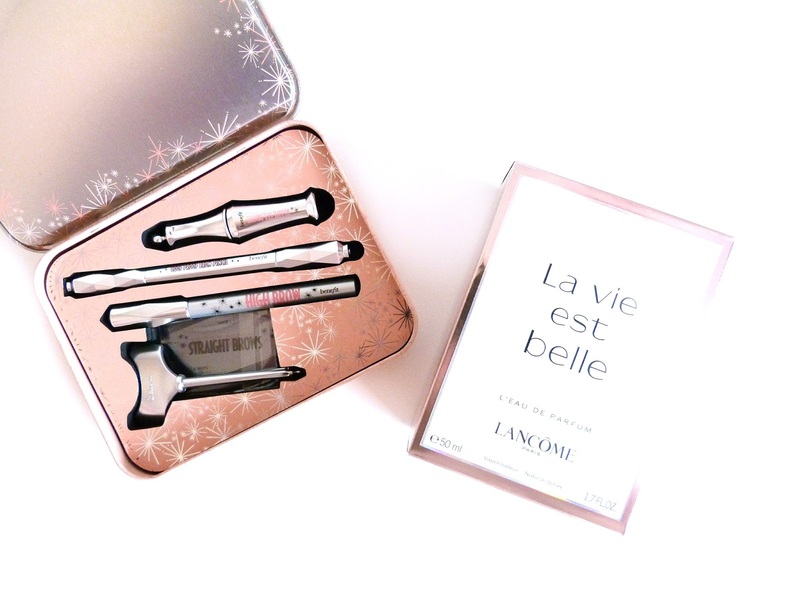 I was also delighted to unwrap a Benefit Soft & Natural Brows Kit. I absolutely adore the Benefit brow collection and have previously reviewed my deluxe sample of the Goof Proof brow pencil, so I'm thrilled to finally have a full sized one. 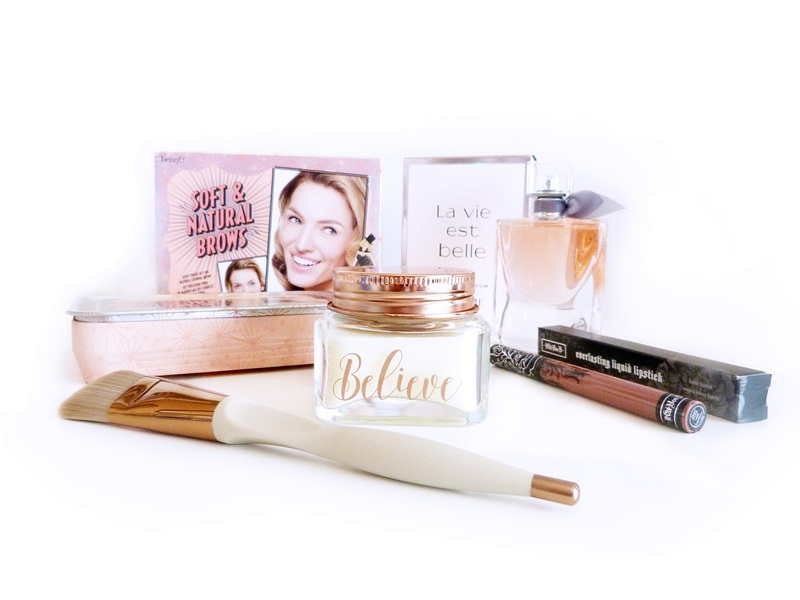 The kit also contains a High Brow creamy brow highlighting pencil, which I am so looking forward to playing with, eyebrow stencils, and deluxe sample of Ready, Set, BROW! setting gel. Other presents which I absolutely are adore are a gorgeous copper-lidded candle decorated with 'believe' and scented of rose, fabulously luxe gold and cream makeup brushes, lots and lots of chocolate, a Bomb Cosmetics gift set and possibly the most beautiful of all, a musical carousel from my lovely boyfriend. It's incredibly beautiful and I cried when I opened it, I can't wait to photograph it properly to post to Instagram. But my favourite present of all? When I came home on Christmas Eve, my dad greeted me with an excited "come meet our new little friends." He pulled me into the conservatory where I see my sister sat with the two fluffiest, sweetest little guinea pigs on her lap. I genuinely cried as I've not had a pet in so long. We have named them Baby and Posh, after the Spice Girls. Baby is so sweet and timid and fluffy, whilst Posh is jet black and sassy. I've had a truly amazing Christmas, and I'm really looking forward to my extra-special present from Adrian - we're going away for a couple of nights to the seaside and it's going to be so magical. 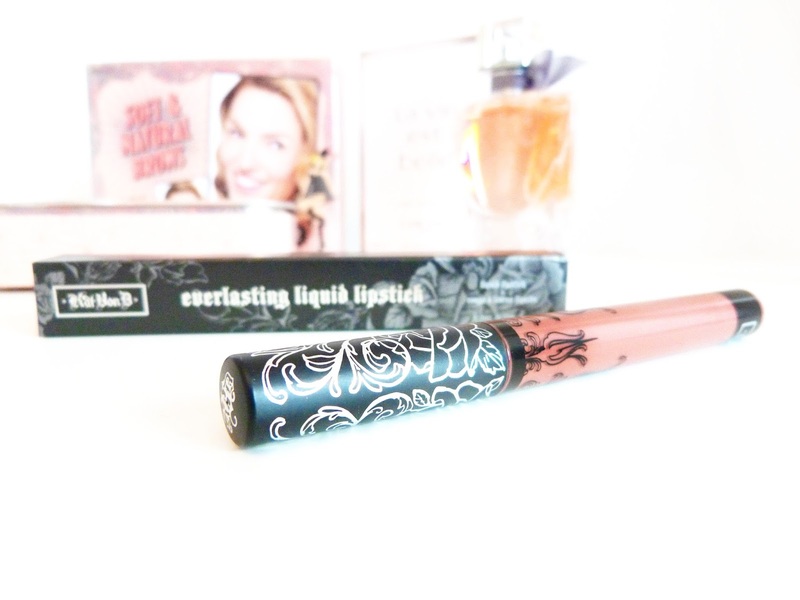 I got a couple of bits from Kat von D and I'm so excited to give them a go! it looks like you got so many pretty gifts! So pretty gifts you had! Merry xmas to you!